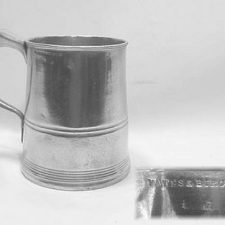 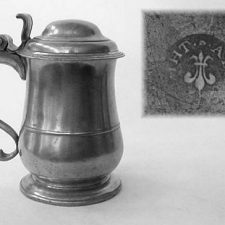 Allen Bright of Bristol, England was a major exporter of pewter for the American trade. 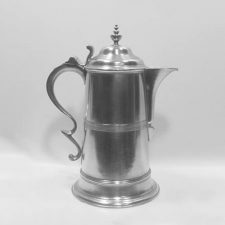 His working dates were from 1742-1763. 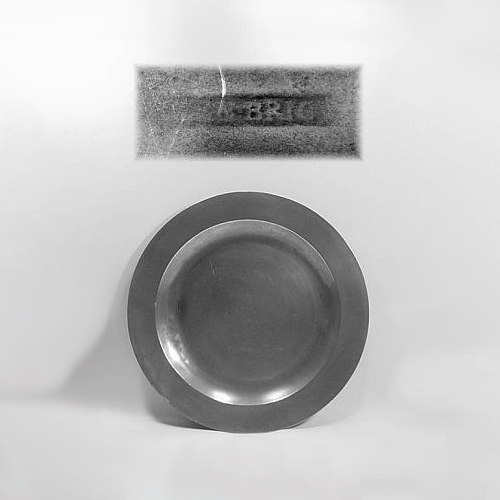 This flat rim dish also has a hammered booge and is in very good uncleaned condition with a worn mark and a soft gray color.